"I am not really from New York. I was born in Trinidad. When I was 19 my parents died in a car accident. My sister and I moved in together and after a will it was hard for me to cope with their death. So one night I caught the last flight to New York to start fresh. And then I went to college and you know the rest." I explained to Daveed on the way to the theater. "So who really knows where you&apos;re from, I mean other than me." "Only Lin, Renee and Leslie." "Wow." he said pulling into the theater. He helped me out of the car and we walked into the theater. "SURPRISE!!!" everyone shouted. I looked around and the theater was decorated in pink and blue. "This is your gender reveal party" Renee said. I turned to Daveed. "Did you know about this?" I asked him. "I did." He said smiling. Renee ushered me over to a beautiful pink and blue cake. She handed me a knife. "Cut the cake to find out the gender of your baby!" she said. I cut into the cake it was both blue and pink. I looked at her confused. "you&apos;re having twins! A boy and a girl." I looked at Daveed who had the biggest smile on his face. I hugged him. "The surprises are not done yet." Renee said. I was confused what else was there? 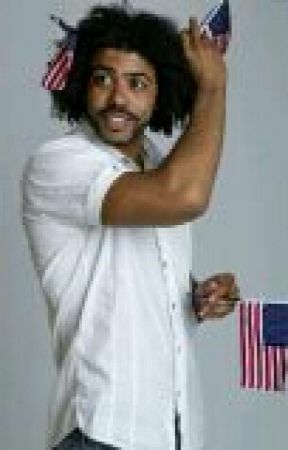 I turned my attention back to Daveed. "Ivy, I have only known you for a year and a half, but it has felt like eternity. You are giving me what I always wanted, a family. And there is no one I would rather spend my life with but you." He got down on one knee and that is when I began to cry. He pulled out a little black box and opened it. "Ivy Peterman, would you do me a favor and marry me?" I laughed at him. I couldn&apos;t say a word so I just shook my head yes. He slid the ring on my finger and kissed me. This had to be the best day ever!